Interns will research and write a report on the economics of health - summarizing the public health and private costs and benefits of the company's medicines. The intern can choose from a variety of tasks including administering EKGs in the Emergency Room, patient intake, visiting patients, and shadowing physicians. One of the Israel's world-renowned medical center, known for its advanced treatment and cutting-edge research. The hospital has a total of 1,000 beds, 31 operating theaters and nine special intensive care units, and runs five schools of medical professions. Tasks may include supervising patients in the rehabilitation gym, helping patients from the rehabilitation ward to the physiotherapy department and assisting in the movement laboratory, and an option of assisting physiotherapists in the pool. Tasks may include supervising patients in the rehabilitation gym, helping patients from the rehabilitation ward to the physiotherapy department and assisting in the movement laboratory, and an option of assisting physiotherapists in the pool. The department provides physiotherapy services to all hospital departments, as well as inpatient, outpatient and sport rehabilitation. They also operate a pool which is used for physiotherapy and some advanced rehabilitation and research systems. This department provides a inter-disciplinary approach to the treatment of patients suffering from diverse neurological and orthopedic conditions. Coursework and practical experience in physical therapy. The intern becomes an integral part of the clinic by shadowing, accompanying doctors to home visits, and contributing to sports medical research investigation. The only sports rehabilitation clinic of its kind in Israel, where sports persons are treated within and utilize all the modern facilities of an ultra-modern sports facility. Suitable orthopedic equipment and rehabilitation products are provided to further enhance the treatment process. The intern will shadow and assist with animal-assisted therapist (with horses) and be involved in animal maintenance. Retorno is the largest Jewish organization in the world for the prevention and treatment of addictions. Prior experience in horse therapy required. Using a biochemical assay which has been developed in the lab the intern will be analyzing the differential composition of chromatin proteins in different stages of stem cell differentiation in order to identify stem cell specific chromatin proteins. Once identified, the intern will study their role in stem cell maintenance using a variety of molecular, microscopic and biochemical methods. This lab is studying chromatin and epigenetics in embryonic and neuronal stem cells and reprogramming and are using human pluripotent stem cells to model human neurodegenerative diseases. Melabev's research department incorporates university students from varied disciplines as interns in its research projects. The research program is based on the principle that evidence-based research leads to productive and cost effective services, while maintaining a caring and patient-centered service and outreach orientation. Melabev's staff and in-service training is based on research evidence to ensure a dynamic learning environment and give expression to staff inquisitiveness and creativity. can be counted. Past interns were involved in research related to technology development for people with dementia, improving quality of life, functionality of people with dementia, grieving, aging in place, nutrition, cognitive evaluations, aging in place. Melabev is Israel's pioneer service provider caring for those plagued by, and suffering from, Alzheimer's disease or dementia, along with offering appropriate services to their entire support system. According to the specific intern's skills, interests, and Melabev's needs at the time. The Nei Jing Center of Chinese Medicine is at the forefront of advanced alternative medicine services in Israel. The center combines routine medical care together with Chinese medicine, and promotes cooperation with international medical centers, researchers and medical experts in Israel and abroad, and has been achieving impressive results with its many patients. At least 3 years of nutritional science. The intern will be involved in the Ministry's current research projects that relate to policy. The Ministry of Nutrition employs dietitians who focus on geriatrics, mental health, hospitals, public complaints and research. They receive many queries from the public and handle public complaints. They also conduct surveys of various age groups – personal interviews that are the base for our nutritional policy. They have a database on nutrition and many voluntary professional committees, including experts in child nutrition and pediatrics. The Ministry of Nutrition employs dietitians who focus on geriatrics, mental health, hospitals, public complaints and research. They receive many queries from the public and handle public complaints. They also conduct surveys of various age groups – personal interviews that are the base for our nutritional policy. They have a database on nutrition and many voluntary professional committees, including experts in child nutrition and pediatrics. Interest in public policy and interventions related to food and nutrition. Interns will have a unique opportunity to shadow and assist physical or occupational therapists in a hospital setting. Herzog Hospital is Israel’s foremost center for exceptional geriatric and mental health care, treatment and outstanding research. 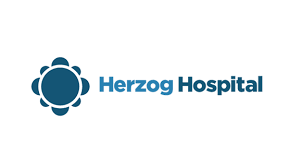 Herzog Hospital is committed to improving the quality of life for those suffering the effects of aging, neurological disorders, mental illness, respiratory ailments and psychological trauma. Completion of at least one year in PT or OT studies, or some work experience in the field.